I still have a hard time believing Michele Serros didn't make it to see her 50th birthday. 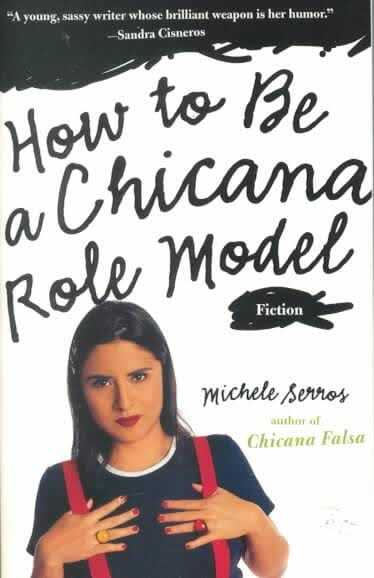 She had big plans to have a cinquentañera and she had more poems, articles, and books to write. The Oxnard native died at age 48 after a battle with cancer. Sunday, February 10, would be her 53rd birthday. Michele was one of the first, if not the first, author I had ever met. 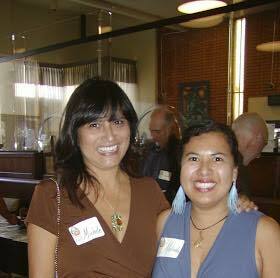 She was young and funny and years later, I had the pleasure of standing next to her at the Latino Book and Author Festival when my first book was published. She had friends all over the country and always managed to send a letter or call around Valentine's Day, her favorite holiday. It's appropriate that California State University Channel Islands will open the Michele Serros exhibit and archives in the John Spoor Broome Library Gallery. The reception will include readings of Serros' works and the screening of a short film called "Cielo or Bust: Honoring the Life and Works of Michele Serros and her Stories of Dead, Identity, and Oxnard" by director/producer Julio Alcala. The exhibit not only contains her papers, but also signature pieces, such as skateboards and the famous desk that Michele writes about in her 1993 book, Chicana Falsa. 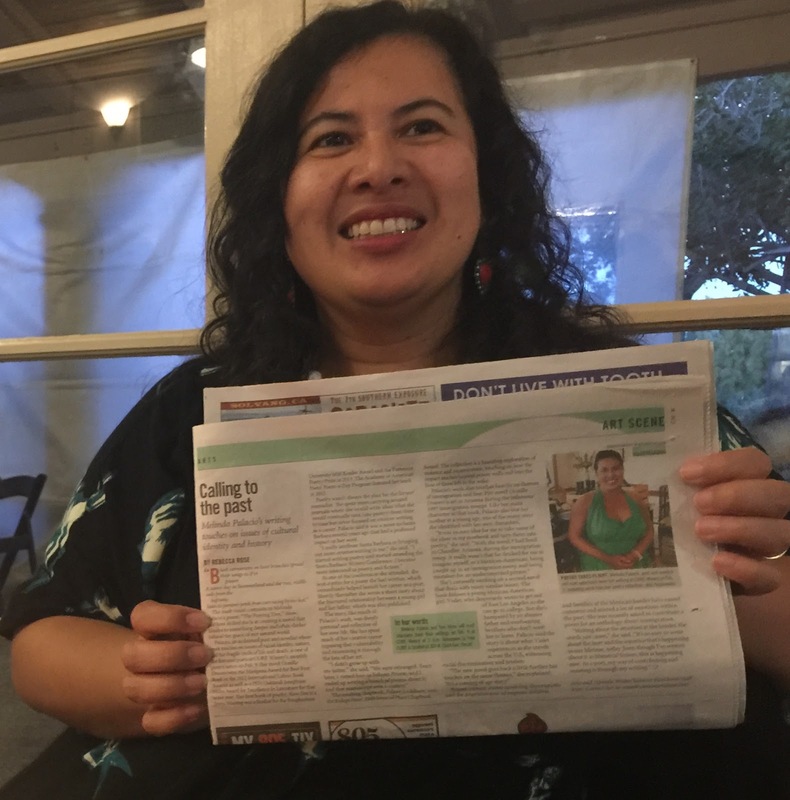 Coordinating her archives and the Michele Serros Multicultural Living-Learning Community, a dorm at CSUCI, is another amazing Chicana and friend, Dr. Jenny Luna who met Serros when the two were neighbors in New York. Details: February 14: California State University Channel Islands, 1 University Dr., Camarillo, CA 93012, John Spoor Broom Library Gallery, reception from 5-8 pm. This Saturday, along with Toni Wynn, I have the pleasure of reading from my latest book, Bird Forgiveness at the Core Winery. If enough wine is had, I will also perform the Bird Forgiveness theme song and my latest song, working title "Time." Rebecca Rose at the Santa Maria Sun wrote up a nice article on me and the upcoming event. Read the full article here. February 9, Core Family Winery, 7:30 pm to 10: 30 pm, 105 W Clark Avenue, Santa Maria, CA 93455. I'm holding up the Santa Maria Sun article by Rebecca Rose.